The Pakistani Prime Minister is correct in pointing out how much his country did for the US in response to Trump’s disrespectful attack against it this weekend. 4. Pak continues to provide free lines of ground & air communications(GLOCs/ALOCs). Can Mr Trump name another ally that gave such sacrifices? 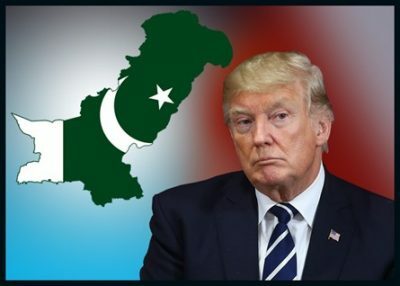 As can plainly be seen, Pakistan has done everything that it could for America while receiving nothing but turmoil and terrorism in return for a paltry amount of so-called “aid”. Even to this very day Pakistan “continues to provide free lines of ground & air communications” for the US to Afghanistan, showing not only a genuine dedication to the cause, but also a loyalty that many in the country are arguing is undeserved after the disrespect that they’ve consistently experienced from the new American administration. Pakistan suffered from terrorism many orders of magnitude more than the US ever did, most of which happened after its post-9/11 anti-terrorist “alliance” with America, but the only “thanks” that it’s getting for its sacrifices is to be scapegoated for Washington’s military failure in Afghanistan.